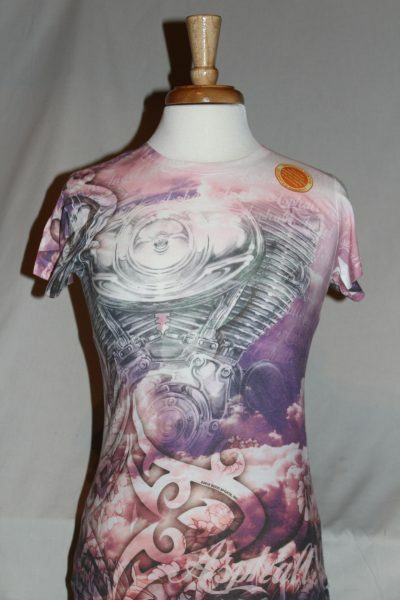 The Hot Leathers Harley Engine And Wings Tee is a two sided print in pink. 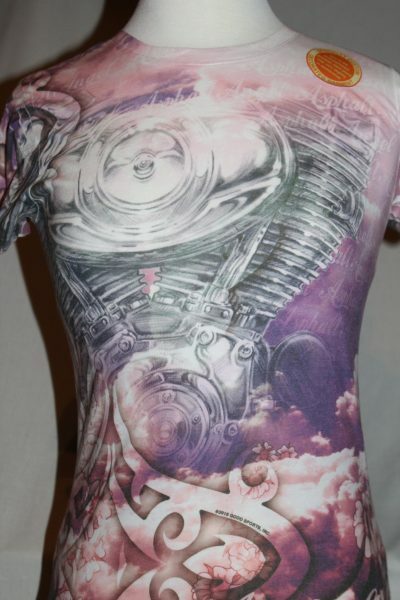 Front Design: Harley engine and floral scene. 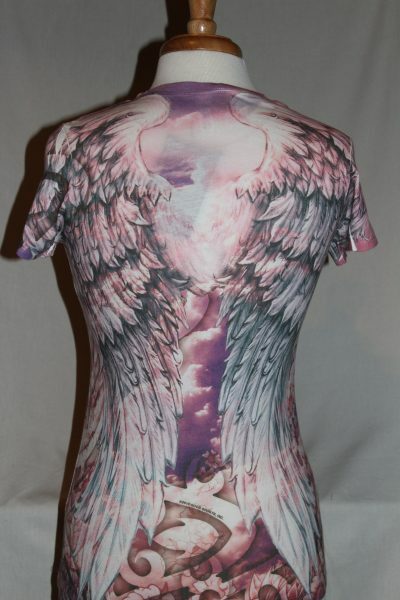 Back Design: Wings and sky scene. 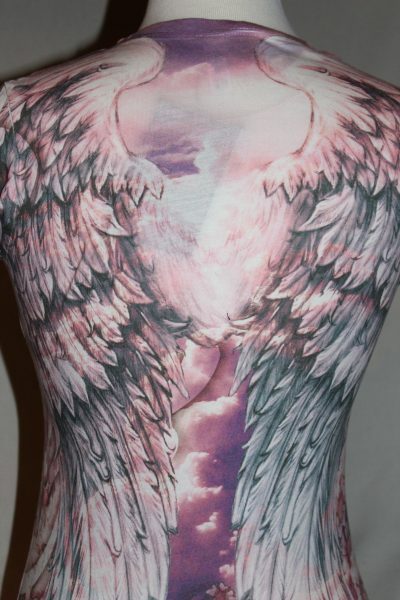 Next Level 65% polyester 35% cotton. Machine wash in cold water. Low temperature dry.